I was well into Father’s recollections of Grandfather and preparing to write his biography, actually working on an outline, when Father called me on the phone one morning. Picking up the phone I was barely able to get out, “Hello?” when he said, “You have to call Virginia right now and tell her she has to call me. She knows why.” I had never heard Dad sound like this. I gulped down any questions and said this would be done immediately. 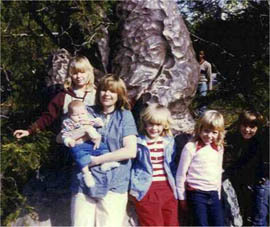 L - R - Melinda and her children. Dawn, Melinda holding Justin, Ayn's friend, Heather, Ayn and Arthur. Father believed Virginia. This was a mistake. But until into the 40’s and 50’s nothing much was heard about Ansel Adams and Yosemite. Father spent decades believing Ansel could not have profited. He had no reason to suspect Ansel was promised money and a place in Yosemite if he burned the Pillsbury Studio. Father also believed the huge, three decades collection of Pillsbury photos and movies, had gone up in smoke and flames. But this was also false. Dad trusted Virginia because of their long standing relationship. That day in early 1928 Virginia told him she would understand if he decided he needed to tell someone, but to let her know this before doing so. He had kept his promise, ensuring I made the call myself. By the time Father finished talking, I was reeling, and the sweat was dripping down my face. Dad then said, “Now you know. Will you do this for me?” I knew I had heard marching orders. This would come to include the disappearance of his Father’s collection of negatives and photos, his films and masters, and who had planned and carried out this outrage. I croaked out, “Yes Sir,” the only time in my life when I called him 'sir'. After he hung up I said, “I love you," to the dial tone. Our relationship was like that. Dad died six months later, on April 12th, 1991. I take my promises seriously, just like my Dad. Dad’s letter to Harrison of February 16, 1978 had carefully evaded the fire and suggested arson issue, because he had made a promise. But my father had failed to consider, or perhaps not understood, the character and motives of Virginia Best. The “Best Studio” in Yosemite, was a small operation based on selling the proprietor’s paintings. Its founder, Harry Cassie Best had left behind the family farm to start a musical group with his brother, Arthur. The two young men were from the tiny town of Mount Pleasant, near Peterboro, in Ontario, Canada. The brothers found four other fellows for their group, traveling west to Winnipeg and from there to Portland Oregon, which they reached in 1887. From there, Harry and his brother, Arthur, moved on to San Francisco. Unfortunately, his passion for Illustrative Art coincided with the rise of Impressionism and Photographic Art, with which he had to compete. The Best Studio depended on original art work. You can charge more for a painting, but the flow of income is both uncertain and erratic. The Best Studio began selling trinkets and other items. They were already competing with the rapidly expanding market in fine photography in Yosemite by photographers such as George Fiske, Julius Boysen, Daniel J. Foley, and Arthur C. Pillsbury, whose operation was six times larger than all the other small concessionaires combined, according to my father. The flow of tourists was growing, but still low given the number of customers until later in the 1920s, and the cost of a concession in Yosemite was high. Virginia was aware that without an in-house photographer, she could not make the concession she would inherit successful. Virginia’s mother died in 1920 when she was 16. Her father, born in 1863 was then 57. Increasingly, Virginia began an active role in running the ‘Best Studio’. Her uncle, Arthur Best, had brought her Grandmother Best to San Francisco where she would later die. Virginia was born January 18, 1904, about ten months before Dr. Arthur F. Pillsbury was born on October 11, 1904. They grew up in Yosemite as contemporaries and playmates at least six months of every year until Dr. Pillsbury left for college. Virginia did not attend any schools after those available in Yosemite; and Ansel, her future husband, also had an abbreviated formal education. The Best Studio is today known as the Ansel Adams Gallery. It is located one hundred paces from where the Pillsbury Studio stood in the New Village. They were close neighbors, as they had been in the Old Village. The ambitions of Harry Best would be realized, by very different means, by his daughter, Virginia Rose Best Adams. Although Virginia and Ansel married, the Best Studio remained entirely under Virginia's ownership and conrol. This never changed. Her two children directly inherited from her. Article: Out West. By George Wharton James, published in the January 1914 issue. During the late 1970s, Dr. Pillsbury’s family noticed he was growing distracted, more and more anxious to ensure his father’s legacy was remembered and honored, but he said nothing to anyone about the fire. Dr. and Mrs. Pillsbury moved from West Los Angeles where they had lived from 1936 until Dr. Pillsbury retired from the position of Director for the Water Resources for the UC System, to Springville, CA, a small town in the foothills of the Sierras, in 1972. Dr. Pillsbury became intensely involved in assisting with local problems. He was elected President of the Board for the local Springville Public Utility District (SPUD), an unpaid position which needed someone with a professional knowledge of issues to bring them into water treatment compliance. Dr. Pillsbury was also elected to the Board of Education and went through every position in the Springville Lions Club, leaving it a far stronger organization. He also, with his wife, Mary Alice (Pam) Reasoner Pillsbury, undertook to found the Tule River Historical Society. Father was the first president. Mother would serve as the first Treasurer until her death on September 15, 1987. On March 15th 1978, Harrison again writes to Dr. Pillsbury. It is a bland letter, mentioning having obtained a copy of the patent for the Mass Production Postcard Machine, the first of its kind, used to produce the Pillsbury Studio’s postcards, lowering the cost both to tourists and allowing for more profits to go into the photographic technologies Pillsbury was then designing and building. Dr. Pillsbury had run the Postcard Machine from the time he was 15 until he left for college, and routinely serviced and repaired it when necessary. 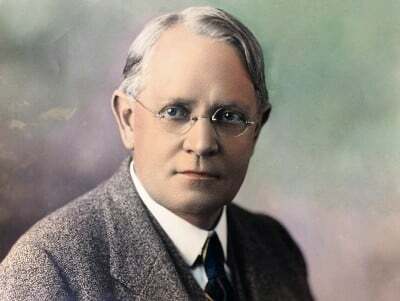 It was clear to Melinda Pillsbury-Foster, when she discovered Harrison’s articles online, these were not written to give the reader an accurate understanding of Arthur C. Pillsbury. Only one example of this is the exclusion of the fact Pillsbury made and showed the first nature movies in history. This must have been known to Harrison even as he had begun his research, according to his statement, in Yosemite, where the Yosemite Research Library was located. The Harrison correspondence continued with irrelevancies. This could have been because whoever initiated the idea of corresponding with Dr. Pillsbury was then satisfied. In normal interviews, a time line would be established, and questions be used to develop depth in character, body of work, relationships, and other data necessary to a full understanding of the person, their life and accomplishments. Harrison entirely neglected to mention he had already written an article on Arthur C. Pillsbury. Since his stated goal was to write articles about Pillsbury and perhaps a book, this is a strange omission. It appeared in the Yosemite Sentinel in June 1977, titled, “The Studio of the Three Arrows.” This was only months before Harrison began his correspondence with Dr. Pillsbury and his sister, Grace. The article clearly shows a pattern of evasion and disinformation, which will continue through his last article, for a total of four. The last of these was published in the Yosemite Association Magazine, Summer 2005 Volume 67 Number 3, titled, “Cycling Into Yosemite History”. If Dr. Pillsbury had seen "The Studio of the Three Arrows" article, he would have approached his cooperation with Harrison with much more caution and skepticism. Later, Ansel Adams would adopt these words for marketing his own work, also attempting to develop a reputation as a champion of Wildflowers in 1934. Melinda did not find this article until March 2018, where it was available online. Arthur C. Pillsbury had partnered with Julius Boysen, as the senior partner, in 1897, two years after he began photographing the Yosemite Valley. When Pillsbury sold his share to Boysen to go to Alaska, late that year, he included in the sale around 400 images he had taken between 1895 and the sale. Those photos were taken in 1895, 1896, and 1897. Pillsbury would be absent from Yosemite for two years, returning yearly from 1900 until late in 1927, after the destruction of his studio. At the same time Pillsbury was partnering with Boysen, he was running two businesses in Palo Alto, one a photography studio which sold his photos from his studio in Palo Alto, the second his bicycle shop. These had provided the funds he needed to work his way through Stanford University from 1892 until he left in 1897, the Pillsbury Company dominated the trade in photography in the Stanford area, as he later did in Yosemite. Pillsbury was a mechanical genius who routinely built his own cameras, and such innovations as the first specimen slicer for a microscope, and the first motorcycle in California (1895). These were known in family legend and in Bay Area newspapers. Harrison found mention of these in a Palo Alto paper. But at no time are these or other inventions or significant events in the life of Arthur C. Pillsbury included in his writing either to Dr. Pillsbury or in his published work. Another significant omission. The event which drove AC to the Yukon was a very human event. His wife, Ella, had left him after a very short time together. Ella began studies at what is today Stanford Medical Center to become a nurse. She never remarried. By all indications, AC loved her passionately. From 1900 on, Pillsbury was in Yosemite every year. In 1903, Pillsbury coordinated his extended trip with photographing Teddy Roosevelt with John Muir. This historic visit took place as Pillsbury was hired as to handle the photographic department for William Randolph Hearst's San Francisco Examiner. AC took stringer work for Underwood & Underwood. The company was a pioneer in the field of news bureau photography. This is only one of the many ways Pillsbury might have come to the attention of the Hearst paper in San Francisco. Pillsbury comments on his background there saying, "After my Alaskan experiences, I started getting scenic pictures in California, specializing in the Missions, Yosemite, the High Sierra and the Lake Tahoe regions, then I met Mr. Williams, manager of the Examiner, and he offered me a position in charge of the photographic department of the S.F. Examiner, which I held for three years resigning and forming my own Pillsbury Picture Co. a month before the Great Fire and Earth Quake in April 1906. At that time my home in Oakland was all fitted up with developing and printing rooms." Pillsbury had an unusual background which gave him the technical ability to bridge the use of photos for newspapers. It is known that by 1910 Underwood and Underwood had begun wire service photography for newspapers. By this time, the use of phone lines converted to a signal which could transport a photo in dots per line, had begun. This raised the question of how Pillsbury had managed to transport his images of the San Francisco Earthquake and Fire so widely around the world. These circumstances point to his knowledge of edge technologies for his time and some part of his initial fame. Research continues and will be included in the forthcoming book, movie, & mini-series. The Dr. Pillsbury – Harrison Correspondence, 1978 – 1990, continued as Dr. Pillsbury grows increasingly worried and frustrated, always hoping Harrison will help him solve the problem he faces. Harrison's original enthusiasm was, as you see by the evidence, planned first to extract information and then to stall action by Dr. Pillsbury. Virginia and Ansel were well aware of the credentials of those in the Pillsbury family for starting and running not-for-profits. Dr. Pillsbury's last article published appeared in Scientific American on July 1, 1981 and was titled, " The Salinity of Rivers" . Abstract: Arthur Francis Pillsbury (b.1904) joined the UCLA faculty in 1934. He became chairman of the Department of Irrigation and Soil Sciences, head of the engineering systems division, and director of the Water Resources Center. His research in hydrology made him among the first to warn of the flood and erosion damage that results from brush fires. In 1977, he received a award from the American Society of Civil Engineers for his studies of drainage system engineering and environmental resources management. The collection consists of Pillsbury's research files, reprints, correspondence, teaching material, and related papers. Dad asked me to ensure his own body of work was eventually part of a biography. That would be done now if not delayed for other research work he requested. Many of Arthur C. Pillsbury's panoramas can be found in the National Archives and Library of Congress; much as his son's Dr. Arthur F. Pillsbury's scientific publications can be found. Dr. Pillsbury expected research to take time, but time was critical for him. Harrison produced only one published article, “His Camera was His Gold Mine,” 1981, after beginning his correspondence with Dr. Pillsbury, and Dr. Pillsbury’s death in 1991. The title chosen mis-states Pillsbury's motives and neglects to use his invention of the circuit panorama camera and ignores the enormous number of his panoramic photos taken in Alaska. 200 of these can be found in the Smithsonian and the National Archives. LINK Pillsbury had technologically single-handledly changed the limits of photography. Far less than thorough, Harrison cites, but neglects to use the enormous power of AC Pillsbury’s own partial autobiography, written in the 1930's. The competition named by Harrison in the 1977 article should have included Harry Cassie Best, a landscape artist, painting at a time when photography was creating a new venue for art in photography. Harrison did identify: 1) Julius Boysen, who learned much about photography from his partner, Pillsbury; 2) George Fiske, who was aging and had lost the bulk of his collection to fire in 1904; and 3) J. D. Foley, whose photographic efforts were, necessarily, focused on producing The Foley Guide, the yearly publication which demanded text, photos and graphics. It was the standard source of essential information for tourists and others in Yosemite and included copious advertisements, a significant a significant source of any publication’s income. These are facts which could not have been unknown to Harrison, since he was working in Yosemite and had stated he had read the records in the Yosemite Research Library. The technologies for photography changed rapidly in this period, and Pillsbury was at the forefront of those changes. Pillsbury used Magic Lantern Slides, Stereopticons (double photos used in a holder to create a 3D perspective), and sold these, using his own photos commercially. Since Underwood and Underwood sold Stereopticons, this may have been how Pillsbury's contact was made for photos used in these and for other distribution applications. All of these were still photographic advances toward showing photographs for both entertainment, education, and pleasure. It was a temporary resting point for a technology which was ready to explode. The most significant explosion came in large part from the movie industry, which was reaching for better, larger, and more content, in every direction as competition in their industry grew. The relationship between stills and motion pictures had been launched, and decided, though it would be decades before most people realized this. But Pillsbury understood. He had seen this convergence and how it would be decided, before making his first Nature Movie. There would be nothing we could not see with our own eyes, after he had laid the foundation from microscopic to panoramic in air, land and sea. The interplay between what we think of today as Art, Media, Science, Physics, and Metaphysics has continued to change constantly, reflecting our perceptions of the Universe and the technologies which reveal the beauties, math and physics which ratify beliefs. The Pillsbury Studio competed by providing products of all kinds not available, either in the Valley or elsewhere. Among these were regular showings of films at night on the porch of the Pillsbury Studio in Old Village. Pillsbury was, by professional measures, the first to provide the full range of photographic services, who was also a concessionaire in Yosemite. He would also be the last. No other photographer routinely provided photos for multiple books, licensed contracted images to multiple postcard companies, provided photos to newspapers, and made motion pictures. These were professional productions and of high quality, equal to anything then being produced by the nascent Movie Industry. Pillsbury had purchased his first motion picture camera when he started Stanford in 1892. The other Yosemite studios failed to effectively compete, because most tourists preferred the products and services Pillsbury provided. They choose to patronize him because his prices were a better deal for what was offered. If they bought post cards these could be written to friends and relatives, and mailed at the Pillsbury Studio; no need to post them themselves as stamps were also sold. Innovations which serve the needs of customers is how free markets operate. In many cases, the services provided by Pillsbury were not available in any other Valley location. Until 1924, Pillsbury also ran studios in Pasadena and San Francisco. The operations named above operated only in Yosemite Valley. At the same time, Don Tresidder had ended Pillsbury’s contract to supply all the photographic services needed by Camp Curry. At the time, this was puzzling, but later a pattern emerged. Why and how Foster Curry was forced out of Yosemite, leaving Don Tresidder, a non-Curry, who was disliked by David Curry, is being researched. Our research indicates the likelier explanation is the hate Mather had for the Curry family. He wanted Curry out of Yosemite. In effect he accomplished this through the merger of his own insolvent company, Yosemite Park Company, with the Curry Company, orchestrated by Tresidder in 1925. By 1919, Pillsbury was licensing his motion pictures for distribution with Pathe, Paramount, Universal, and overseas distributors. Research indicates there were more. His films and lectures had been scheduled each year by major universities, for example Massachusetts Institute of Technology (MIT) for their students and faculty, by the National Geographic Society, and every major Town Hall across the country. His lecture tours were then handled by The Players, brochure HERE. In the 1920s and 1930s he was billed along with Clarence Darrow and Amelia Earhart. If Harrison was seriously doing research on Pillsbury, he would have begun with the resources for research readily available in Yosemite Valley. This would have included a complete review of all of the Superintendent’s Reports in the Yosemite Archives and Correspondence in the Yosemite Research Library. The financial records alone, would have made it possible for a researcher to look more deeply into the background of the individual being studied. Nowhere are these cited. Harrison would also have included Best, who sold postcards, even if the images for these were purchased from Pillsbury. The logical conclusion from Harrison’s article is that he did not contact Dr. Pillsbury and his sister for legitimate purposes of research. His goal was ascertaining whether or not Dr. Pillsbury has kept silent on the issue Harrison raised in his second letter. Someone wanted to know if Dr. Pillsbury had talked about what Tompkins had told him, and his subsequent confrontation with Ansel and Virginia. Since the conversation had never been revealed by Dr. Pillsbury, the only logical source for the question would be either or both Ansel and Virginia Adams. Nothing further was heard from Harrison until October 5th, when he wrote to ask if Dr. Pillsbury would like to meet him. He adds after the first of the year, “I will begin full time research on writing on your uncle.” Dr. Pillsbury responds on October 10th, providing directions to his home, in Springville, California. 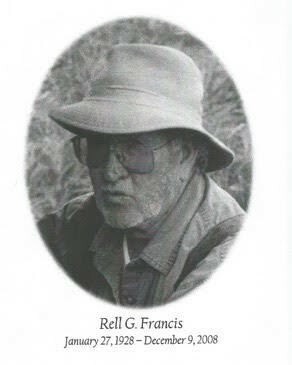 Rell Francis lived in Springville, Utah and was not always an easy man to get along with, according to those who knew him. He was a perfectionist and a devotee of the art of photography. While helping a friend, he noticed what seemed to be a box of photographs which had not been included in a donation made to Brigham Young University by the widow of Mr. William Oliver, who was then moving to Virginia from Springville, Utah. To avoid these being damaged, Francis takes custody of them. When he looks through them, he realizes they are important. Researching the photographer, who is Arthur C. Pillsbury, he writes a letter, dated October 11, 1978, to a prominent photographer of Yosemite, Ansel Adams. In the letter, he asks about Pillsbury, and if Adams has an opinion on the disposition of the materials ​​. Rell will not have to wait long for a response.